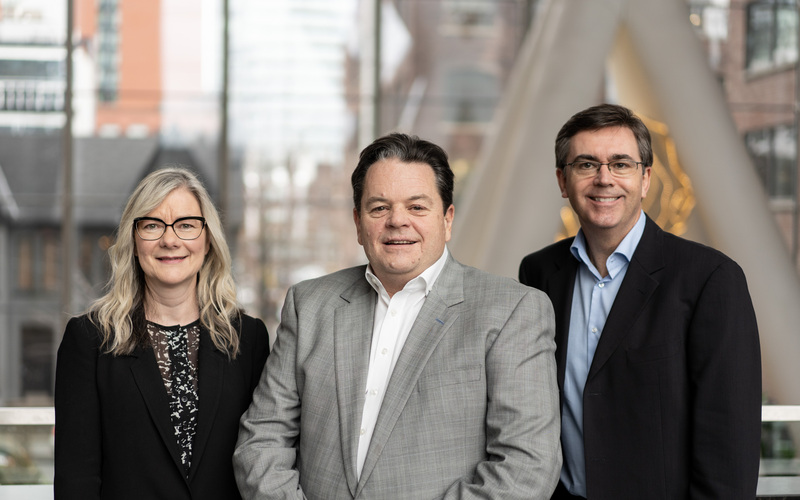 The team, led by Dermot Sweeny, John Gillanders and Caroline Richard, sees every project as a partnership with clients to create better buildings, interior spaces, and cities. Dermot is a professional Architect and President of Sweeny &Co Architects Inc. An innovative thinker, Dermot brings together building design, urban design, urban economics, real estate development, architectural heritage and adaptive re-use to maximize the value of each of the firm’s project. He has brought global and national organizations such as Microsoft, Loblaw, TELUS, RBC Financial Group, RBC Dexia, and BMW to the forefront of sustainability. His commissions range from hospitality and retail interiors to commercial office towers, head offices, mixed-use and residential developments, academic institutions and urban entertainment projects. This broad base of clientele and project types is further served with real-estate development, financial proforma analysis, and development consulting and project management. Dermot’s passion for green building has put him at the head of a movement to design facilities that dramatically reduce carbon footprint, reinforce brand and increase profit, while exceeding standards in comfort and flexibility. Caroline has been a principal at Sweeny &Co Architects Inc. since 2008. Her portfolio spans over 20 years and includes retail, office and multi-residential buildings that exemplify our firm’s core goals—innovation, value and excellence in design. As a designer and project manager, Caroline leads each project with an intricate understanding of design and complex construction. She has led the design and production of most of the firm’s multi-residential projects including Harbour Plaza, 100 Lower Ossington, 83 Redpath, Twenty Gothic, Radius and Maxus. Caroline brings a reflective approach to design and management, and her wisdom is admired by the team and valued by her clients. An established leader and designer, John is an architect and principal of Sweeny &Co Architects Inc. For over 20 years, he has provided design expertise for commercial, industrial, residential, retail and hospitality environments. John has led and managed prominent commercial office projects such as the Queen Richmond Centre West (Toronto) Bantrel Place (Calgary), Microsoft Canada head office (Mississauga), the RBC Centre for the Royal Bank of Canada (Toronto), and Sun Life Tower (Toronto). His strong work ethic is echoed in the success of award-winning projects such as Microsoft Canada Headquarters and the Loblaw Companies Limited headquarters (Brampton). In addition to architecture, John’s broad experience comprises master planning, interior design, furniture and fixture design.